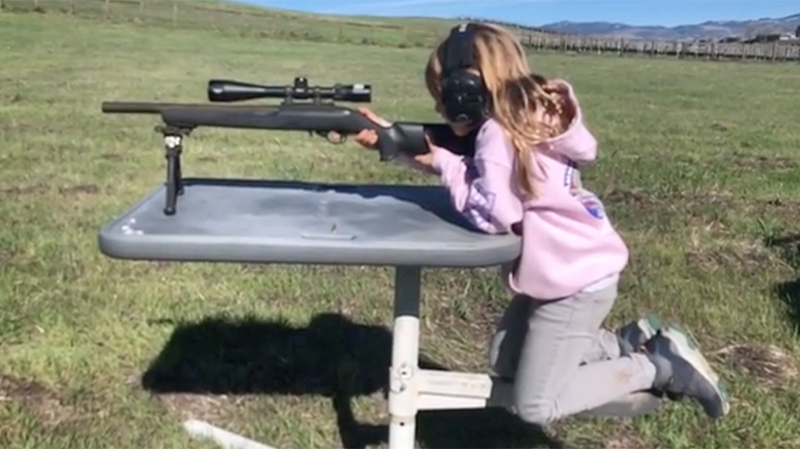 Former motocross star, and husband of pop superstar Pink, got some internet backlash after posting a video of his daughter learning to shoot. It appears people were triggered by the trigger, once again…. Carey Hart and Pink aren’t strangers to controversy, even in regard to parenting skills. In fact, he has sometimes posted photos and videos on social media just to get a reaction. However, this time the former motocross champion has come under fire for posting a video of his daughter shooting a rifle. The video shows his 7-year-old daughter sitting at a shooting bench behind a .22 rifle. She’s wearing a pink hoodie, along with ear protection, and truly seems to understand what she is doing. She also seems to be enjoying participating in one of America’s greatest sports.